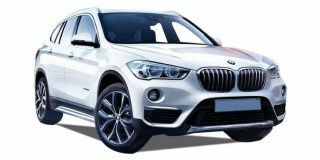 BMW X1 price in Pune starts from Rs. 35.20 lakh (Ex-showroom). X1 is available in only 5 variant. BMW X1's top competitors are Audi Q3 (price starting at Rs. 34.73 lakh in Pune) and BMW X3 (price starting at Rs. 56.00 lakh in Pune). Q. Would the X1 be capable of towing a 1000kg Caravan? If you enjoy riding go for BMW X1, it is better in terms of power delivery and useful features. Q. What is X1 Diesel model service cost? If you are driving smoothly(without any wear and tear), routine service will cost around 23k. Sunroof is available in X1 sDrive20i xLine and all upper variants. Q. Are the rear vents for AC or are they just blowers blowing out hot air from them?